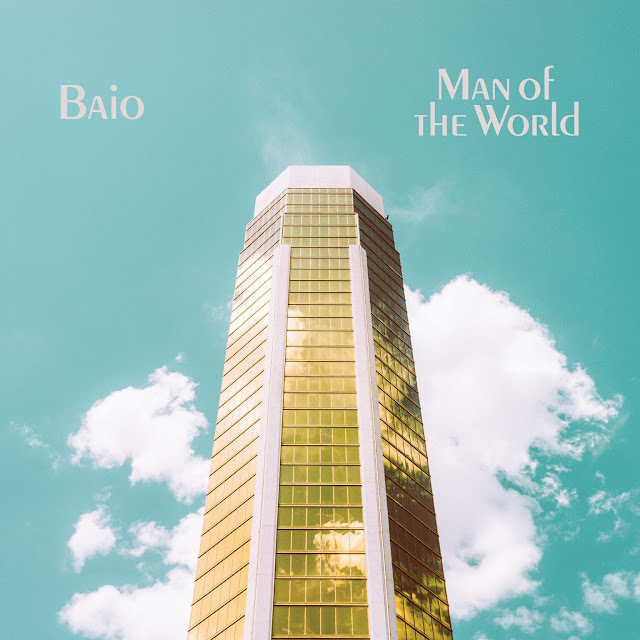 Chris Baio (bassist of Vampire Weekend) has just announced details of Man of the World, the follow up to his debut solo record The Names which was released back in 2015 (listen on Spotify). It was one of my favourite records of the year, full of tunes which seem embedded with a relentless urge to dance which they pass on to you sonically... helped along when you see Chris perform, with his performances resembling the Sister of Pearl video. Alongside the album news Chris, who performs under his surname Baio, has released the album's leading track PHILOSOPHY! which you can listen to below. The record was co-produced by Chris and recorded in Brixton, and as an American living in London, much of the record was written in the aftermath of the events of 2016, with Chris experiencing the fall out of both Brexit and Trump's election closely. Talking about the album, Chris says that writing the record was his way of processing 2016, "a year that began with the death of my favorite artist, David Bowie, and ended with the greatest political disruption of my adult life – all while I was a nomad, an American living in London, touring two continents, never fully of either place. It’s partially about being trapped in my own head, obsessing about things it was too late to change, feeling afraid and guilty and alone. It’s also my attempt to document a certain sense of loss that felt both intensely personal and like part of a larger collective experience many were going through at once.​"
Man of the World is due for release through Glassnote on 30th June, and you can pre-order here.